In some previous seasons, a runners-up place has been enough to secure promotion to a higher division, although I’m led to believe that, as the current pyramid system operates, not even all the clubs that actually win their leagues that feed upwards are guaranteed to go up. My understanding - and I stand to be corrected - is that there are more league winners than there are places available and so who goes up and who misses out will be decided on a points per game calculation. With five to play and games in hand on the chasing pack it now looks like Biggleswade FC’s to lose although they will fully understand that we will be battling right up until the end. 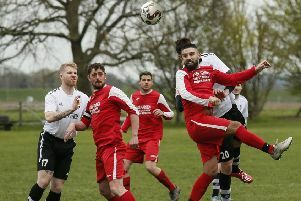 A 3-1 defeat at North Greenford on Tuesday was the last thing we needed, not least because a win would have put us within touching distance of Tring who we meet on the last match of the season. But our target at the start of the season was to finish in the top four and we are now more or less assured of achieving that. Spurs’ victory over Manchester City in the first leg of the Champions League quarter final sets up perfectly my ‘Evening with ‘ Jesus Perez, the assistant to Mauricio Pochettino at Tottenham, to be held at Osinsky’s in Hitchin on Thursday, April 18. It should be a wonderful evening and fascinating to speak to Jesus not just about tactics employed over both legs but also about his life and times working at football’s very highest level. We will also be joined by Gus Poyet, formerly of Chelsea and Tottenham, with former Arsenal Ladies coach, Pedro Martinez Losa, Tottenham Ladies coach, Juan Carlos Amoros and under 23 MK Dons coach, Edu Rubio. All monies raised, including that from items that will be auctioned, will go to bolster club funds. And speaking of money, it was wonderful to see a crowd of around 200 for the Sponsors’ Day we held to coincide with our our last home league match against Arlesey and also to meet some of those people and organisations that help us financially. We worked a ‘pay what you want’ system at the gate and also raised £253 for cancer research. Saturday sees us visit Oxhey Jets before we entertain Potton United in our last home match on Good Friday, kick off 7.45pm.